Worthless, but I still point and laugh. 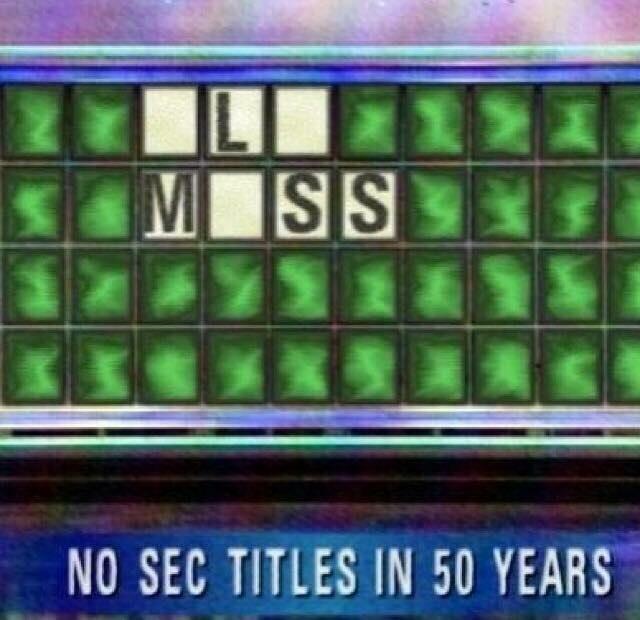 Care to put up your most famous Ole Miss meme? Does this mean we pick up two more wins??? Nope, vacated wins just mean that no one officially won the game. they are pointless but here we are. fun fact FSU vacated the 2007 win over bama, who if we had won that game, would also have had to vacate it. Its actually best we all vacate that game from our memories, unfortunately I attended that one is person. Stupidest penalty in the NCAA's plethora of Stupid Things We Do books. If vacating wins is essentially the game never happened then IMO, losses should be vacated and the season never happened in the record books. How many more times does Ole Miss need publicity about this? Aka, why now? Why not when the rest of the slap-on-the-wrist penalties came out? The headline says the wins are vacated, but the article says that some wins are forfeited due to playing an ineligible player. The AD over there made some comment along the lines of "it's just paper. Everyone saw the games." Man, this came across really arrogant to me, and makes the NCAA look like a joke, and tells me that Ole Miss still doesn't take compliance seriously. Two thoughts about that: one is, why should anyone take compliance seriously? UNC basketball got off scott free, Ole Miss got hammered decent, then the NCAA gave them some of it back. Missouri got hit pretty hard for tutor-gate week before last, and they paid pretty close attention to the NCAA requests. Auburn got away with murder for Cam Newton, though no bodies were found. Second thought is that I don't feel there would be any retribution for Alabama had our school done HALF of what Ole Miss or Missouri or UNC did. If we had been embroiled in questions the way Auburn was over Cam Newton, I feel certain we would have been on multi-year bowl ban. And let's not even touch what Penn State went through, the penalties they were originally dealt, and how the NCAA walked back much of that too. Vacating anything -- wins, awards, etc. -- is just so dumb. We were all there, it happened. All this does is make people do math when they want to figure out what a teams actual record was. What should the consequences be for using ineligible players? When the consequences are prospective, like bowl bans or scholarship limitations, people complain (with some accuracy) that the NCAA is punishing players who weren't there when it happened. If the consequences are retrospective (like vacations of victories or titles), then people complain that they are meaningless. Do we really want to say that anything goes? Obviously, the attitude of Ole Miss is to not show any contrition for admitted rules violation, which causes me to wonder if anything has changed. It's Ole Miss. They'll always skirt the edge and once they cross over it's "oh well, might as well got for it now!". It's their ONLY tradition. They can't even make up their minds on a mascot for crying out loud.